We welcome your interest in the Greenback Historical Society and hope that you find your visit here rewarding. Our organization was founded in 2006 to help facilitate preservation and documentation activities already underway in the community. Since that time, our scope has expanded to include participation in regional activities that benefit from the unique historical heritage of our area. To learn more about the history of our organization, click on the link About Us on the left side of this page. The town of Greenback is relatively young compared to significant historical sites in the immediate area. The area along the Little Tennessee River was a major center for Native American cultures long before European settlers entered the region. Nearby Fort Loudoun, the first British fort west of the Appalachians was built in 1756 near the towns of the Overhill Cherokee as an outpost in the French and Indian War. Later, in 1794, the Tellico Blockhouse was constructed by the US Government across the river from the Cherokee lands to help keep peace between the Indians and the influx of white settlers. Portsville, one of the earliest incorporated towns in Tennessee, was created a few miles downstream in 1813. The town was renamed Morganton soon after and grew into the major river shipping port in the area. During the Civil War, Morganton was the scene of Sherman's crossing of the Little Tennessee in December, 1863, on his way to relieve the siege of Knoxville. 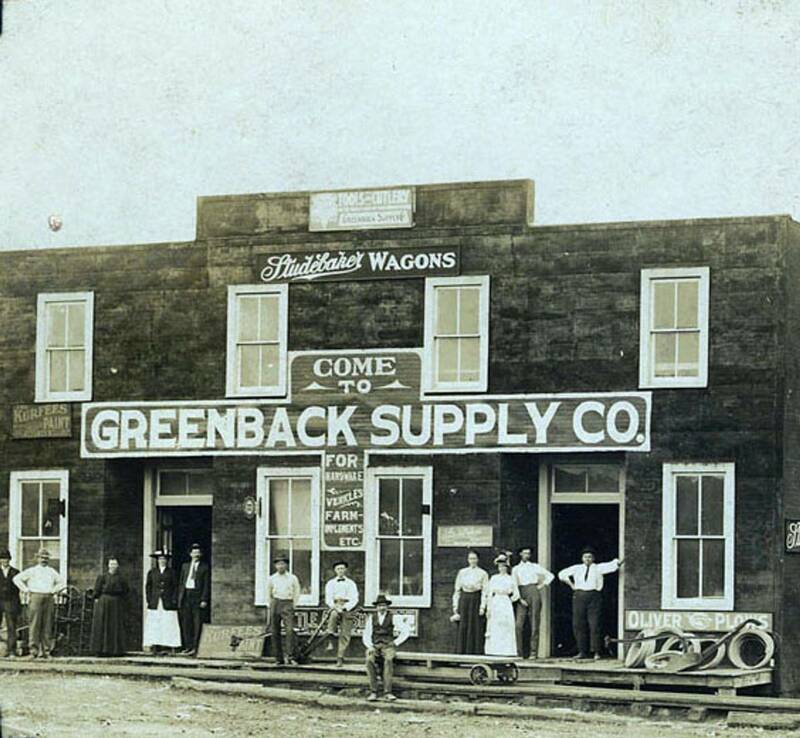 More about the history of the Greenback area can be found on various websites available through Links on the left side of the page. By clicking on Projects, you can learn more about ongoing activities involving our organization. These include the Greenback Heritage Museum and the Greenback Heritage Scrapbook. Hot Topics takes you to information about new issues and near term events. The society publishes a quarterly newsletter for its members. Recent past issues can be viewed under the link Newsletter. More past issues will be added as time permits. The East Tennessee area around Greenback served as a gateway region to the settlement of the western and south-central United States. We are interested in hearing from the descendants of these expatriate Greenbacker families and what information you might about have about their lives while they were here. If you would like to form a closer relationship with the organization, follow the link Membership to learn more and to download an application. Thank you and enjoy your visit.